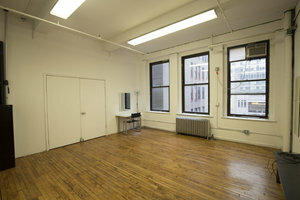 This customizable studio loft space located close to Penn Station is ideal for Photoshoots and Collaborative Work Space for Creative Professionals. 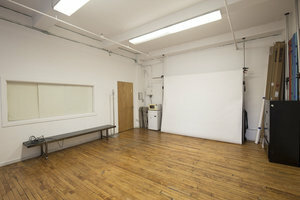 The space is bright with white walls and large windows, the interiors are minimal with a number of facilities ideal for photoshoots and creative projects. Fully equipped with hair and makeup stations, WiFi, garment racks, tables, and chairs, the space can comfortably fit groups of up to 6-8 people while still leaving plenty of space to work. 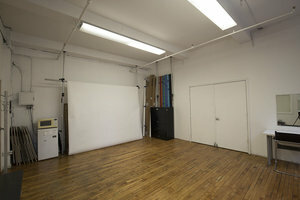 The space is filled with natural light and there are also Profoto lighting kits available for use. 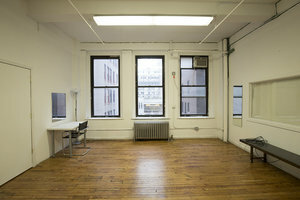 Situated in an easily accessible area close to Chelsea and Herald Square with a number of museums and cultural landmarks in the area, this is a well-equipped studio and work space for creatives.